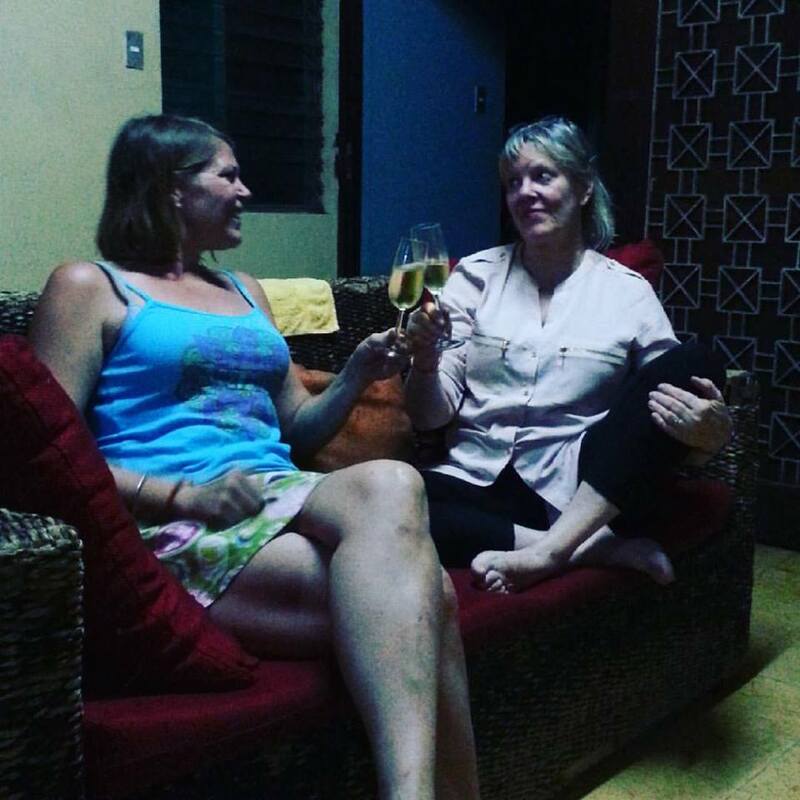 Annette and I went to Nicaragua for a week in order to visit our daughter Katharina, who lives in Nicaragua. She is a junior researcher at the University of Wagening in The Netherlands and works on a Ph.D. in the field of agriculture. We arrived on a Sunday evening and left on a Sunday evening, i.e. we spent 7 nights in Nicaragua, 2 nights in the colonial town of Granada, 2 nights at the beach (Pacific) and 3 nights in Managua. In Managua we stayed at Katharina's appartment. Katharina made a commendable effort to identify wine bars for me so I could prepare a "Schiller's Favorite Wine Bars in Managua" posting. But apparently there is not a single wine bar in Managua. While the poch restaurant Layha we had lunch with Katharina and her colleague in Managua has a fine wine list, Nicaragua is not a wine country. Nicaragua does not produce any wine. All wines are imported. 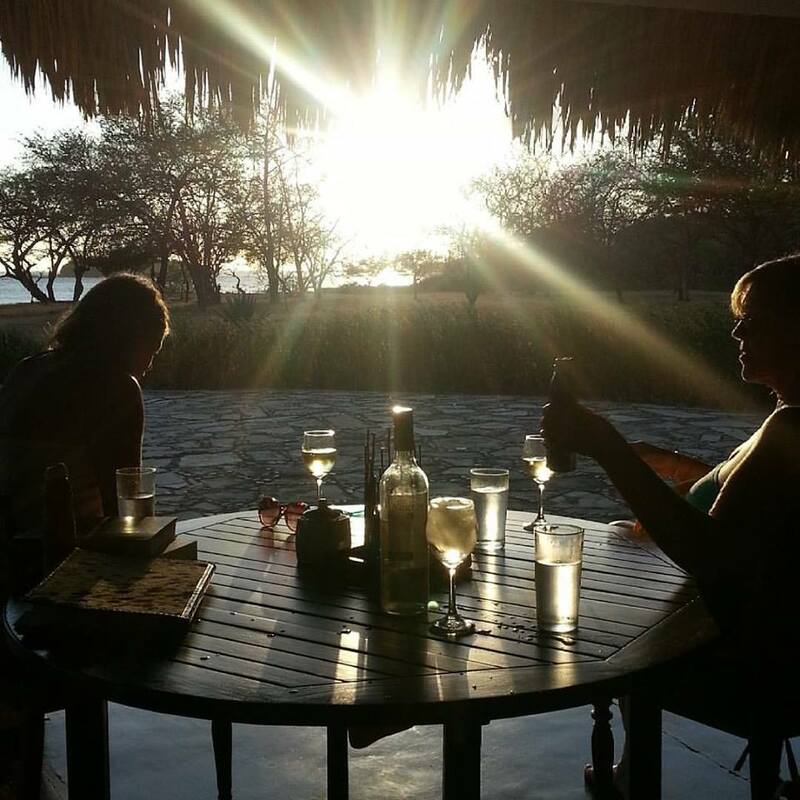 My impression is that Nicaragua does not import much wine, in particular, not much premium wine. I did not see a single place where they had premium wines by the glass. The wine lists I saw were dominated by wines from Argenina. Most of the time I had beer, of course, local beer. And there is excellent rum in Nicaragua. Nicaragua is striving to overcome the after-effects of dictatorship, civil war and natural calamities, which have left it one of the poorest countries in the Western Hemisphere. It is now also struggling with the conflict associated with being on the drug trafficking route to the United States. Nicaragua has traditionally relied on agricultural exports to sustain its economy but the country's meagre national wealth benefited mainly a few elite families of Spanish descent, in particular the Somoza family in the mid-20th century. This dynasty ruled the country with US backing between 1937 and the Sandinista revolution in 1979. The Sandinistas began redistributing property and made huge progress in the spheres of health and education, but the US launched a sustained campaign of embargoes and armed subversion. It is now hoping to launch one of the world's most ambitious infrastructure schemes - a canal project to rival the Panama Canal. 1502 - Christopher Columbus lands on the coast of Nicaragua. 1523 - The Spanish land in force and found Leon and Granada. The Spanish conquer Nicaragua and divid the land between themselves into large estates, whith the native people being forced to work. 1838 - Nicaragua becomes fully independent. Country spends most of the 19th century in violent power struggles between Liberal and Conservative factions. 1855 - American Adventurer William Walker seizes power in Nicaragua and declares himself President. He is driven out in 1857. 1893 - Jose Santos Zelaya makes himself Dictator of Nicaragua. 1909 - US supports a coup by Nicaragua's conservative forces and Zelaya is forced to resign. 1912 - USA sent marines to occupy Nicaragua. They remain there until 1933. 1927 - National hero Cesar Augusto Sandino begins a rebellion against the US occupiers and their Nicaraguan allies. 1934 - Sandino forces the US marines to withdraw. Sandino is assassinated. Anastasio Somoza Garcia, at the head of the National Guard, installs the Somoza family dynasty. Somoza and his sons Luis and Anastasio Jr rule Nicaragua until 1979. 1961 - Frente Sandinsta de Liberacion or Sandinista National Liberation Front (FSLN) formed. Begin of a long guerilla war. 1972 - Major earthquake in Managua, which kills thousands. 1978 - Assassination of opposition leader Pedro Joaquin Chamorro triggers general strike and unites moderates and the Sandinista National Liberation Front (FSLN) in efforts to oust Somoza. 1979 - Sandanista military offensive ends with the ouster of Somoza. The long campaign against Somoza cost 50,000 lives. National reconstruction government is formed under Sandinista leader Daniel Ortega. Left-wing stance of Sandinista leaders results in formation of anti-Sandinista rebels, the Contras. 1984 - Daniel Ortega overwelmingly elected president. 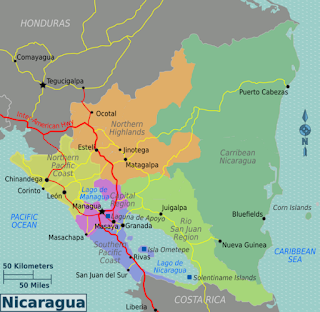 1985 - Reagan administration imposes a full economic embargo on Nicaragua (until March 1990). FSLN government committed to a Marxist ideology, with many of the leading Sandinista continuing long-standing relationships with the Soviet Union and Cuba. US government led by President Ronald Reagan backs the Contras with arms and money, escalating the armed conflict. 1988 - Inflation reaches 33,000% and GDP collapses. Central American presidents step in and broker a peace settlement. The US disarms the Contras in return for guarantees of a fair election. 1990 - Violeta Barrios de Chamorro leads an anti-Sandinista coalition to defeat Daniel Ortega and is elected President. She installs a national reconciliation government, the war ends and the economy gradually starts to recover. 2006 - Ex-president Daniel Ortega is returned to power in elections. He is re-elected in 2011. The mention of Nicaragua usually conjures thoughts of political instability and poverty but with the growth of tourism this perception is slowly changing. Nicaragua is fast becoming known as a beautiful land of lakes, volcanoes and beaches, however, it does not have a reputation as a culinary destination. Visitors to this Central American country do not expect to consume tasty food; to the contrary, concerns over what to eat may be high on their list. The reality is that the Nicaraguan diet is influenced by Spanish, Creole, and Indigenous cuisine, and although the dishes are simple, they are delicious, and for those wanting to experiment, easy to prepare. Plantains are a big part of the Nicaraguan diet. You will find it prepared in a variety of forms: fried (subdivided into maduros/sweet, tajadas/long thin fried chips, and tostones/smashed and twice fried), baked, boiled, with cream or cheese, as chips for a dip, smashed into a "toston". Green bananas and guineo bananas are also boiled and eaten as side dishes. 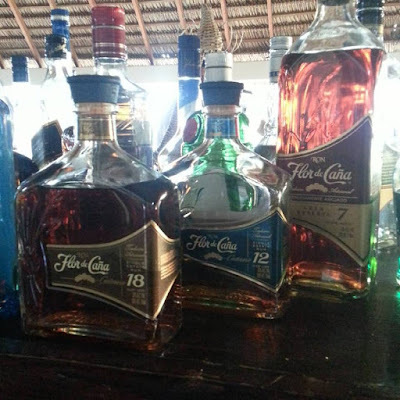 Local beers include Victoria, Toña, Premium, and Brahva. Victoria is the best quality of these, similar in flavour to mainstream European lagers, while the others have much lighter bodies with substantially less flavour, and are more like mainstream US lagers. A new beer is "Victoria Frost" which is similarly light. We arrived late in the evening on United from Houston. The FSLN Government under President Daniel Ortega has put up a large number of light trees on the main roads of Managua. During the day, you also see large signs with political messages in Managua - Tiempos de Victorias! At the center of Managua you find the light trees with a big portray of late President Hugo Chevaz, Venezuela. 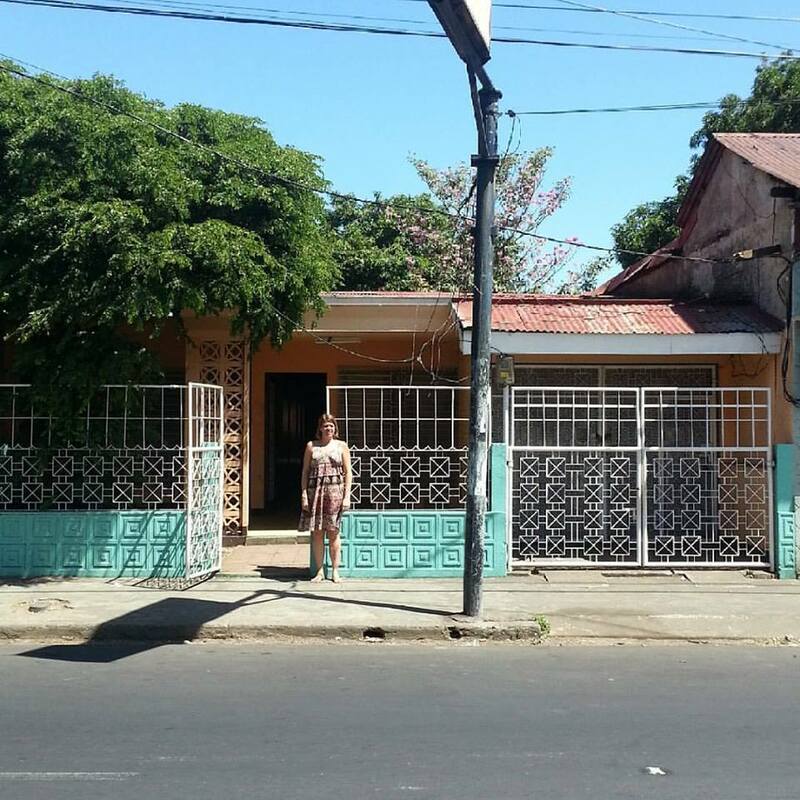 Katharina's residence, which she shares with musicians from Managua, is spacious and in an area where rents are low. 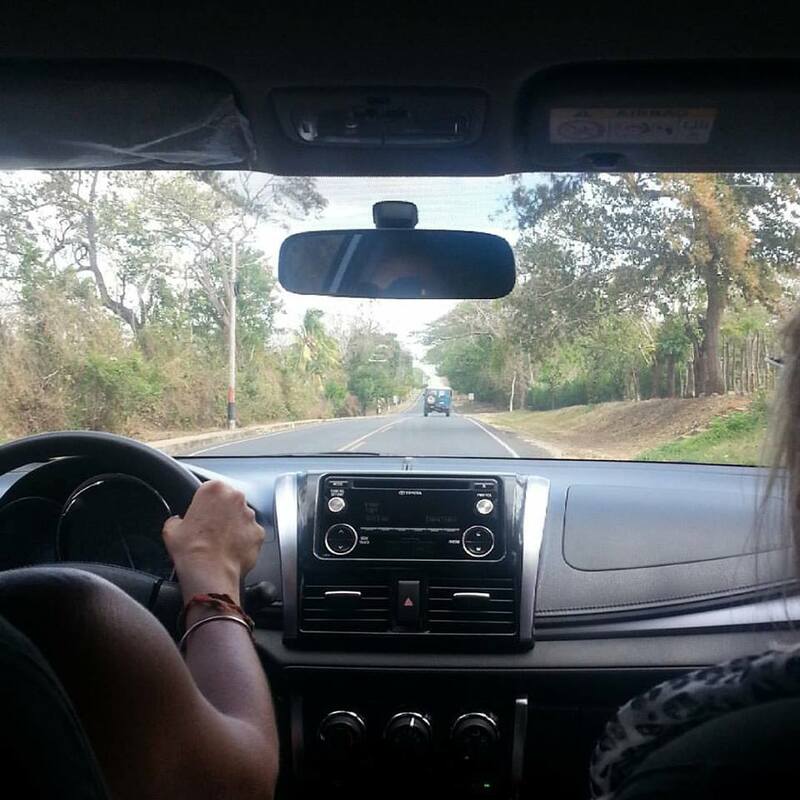 Our first of 2 trips was to Granada, the beautiful colonial city about an hour away from Managua. Going to Granada, we took a public mini bus. Granada is the oldest colonial city in Nicaragua and the all-time-rival of Leon. It is located on the north west side of the Lake Nicaragua. Its colonial buildings in pastel shades, interesting history and relative safety make it an important tourism destination. We stayed at Hotel Granada. A main deciding factor was the large and nice pool. 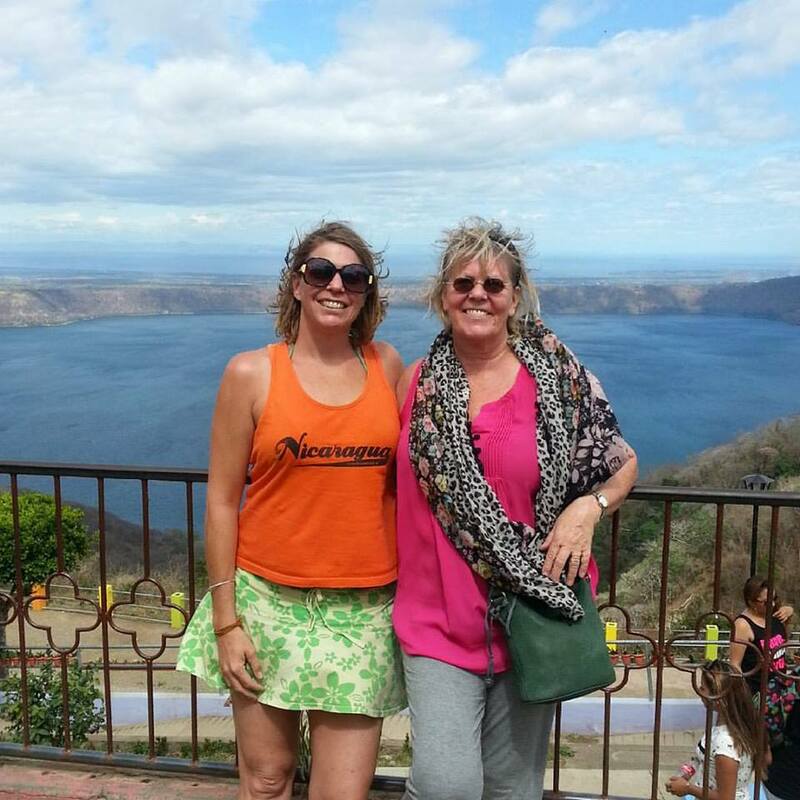 Hotel Granada is on Calle la Calzada half-way between the city center and Lake Nicaragua. There are 6 main churches in Granada: the Cathedral, La Merced, Guadalupe, Xalteva, San Francisco and María Auxiliadora, which all have interesting historical backgrounds and are in very different states. Iglesia de Guadalupe is just opposite of Hotel Granada.We had breakfast with a view. We took a city tour. We took a boat tour of the Isletas, a group of several hundreds small islands in Lake Nicaragua. 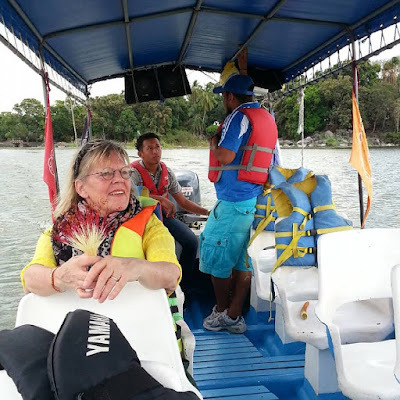 Our guide showed us around the small islands, including the ones that are owned by Nicaraguan and expatriate millionaires. We visited an old Spanish fort that was built on an island to protect Granada from pirates. We passed a small island with a troop of five adorable spider monkeys that live on a small island. The Calle la Calzada is the main street in Granada with many restaurants.We had drinks and dinner there on our first night in Granada. On the second night, we had dinner at El Arcángel, preceeded by a pre-dinner snack near Plaza de la Cathedral. El Arcángel is the Hotel Restaurant of La Gran Francia, a colonial boutique hotel. The original construction of the building that would come to be known as La Gran Francia dates back to the first few years after the founding of the city of Granada, in 1524. The stately home survived a deadly fire in 1856, which set by orders of the American filibuster, William Walker, practically destroyed the whole city of Granada. On the way back, we took a taxi and stopped for a couple of hours at the Laguna de Appoyo, one of the many crater lakes in Nicaragua. On one night, Katharina took us to Charlie's Bar, one of her favorite hang-outs, not far away from where she lives. We had the chance to meet some of her Nicaraguan friends. There were 3 sets. 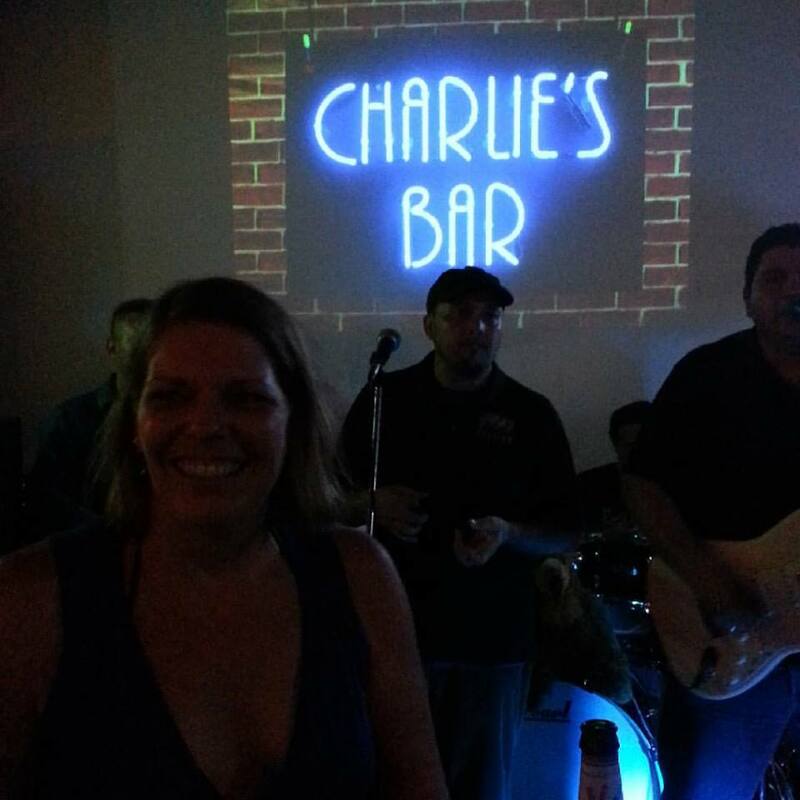 The first two sets were well known international Oldies and Goodies. The third set was quite different. It was only Nicaraguan music, including many songs from the revolution. We did not have a chance to explore the Managua restaurant scene. But Katharina took us for lunch to Layha, which is located in the area where her office is. That was excellent. Inside, you felt a bit like in New York City. The wine list was extensive and good, with a focus on wines from Argentina. We went to the Opera and saw Giaccomo Puccini's Tosca. It was an Italian/ Nicaraguan production and quite good. Interestingly, President Ortega's son, Italy-trained Tenor Laureano Ortega, was singing in that production. He performed in the role of Tosca's lover, Mario Cavaradossi. The Pan-American Highway is a network of roads stretching from Prudhoe Bay, Alaska, to Ushuaia, Argentina, a distance of around 48,000 kilometres (30,000 miles). According to Guinness World Records, the Pan-American Highway is the world’s longest “motorable road”. 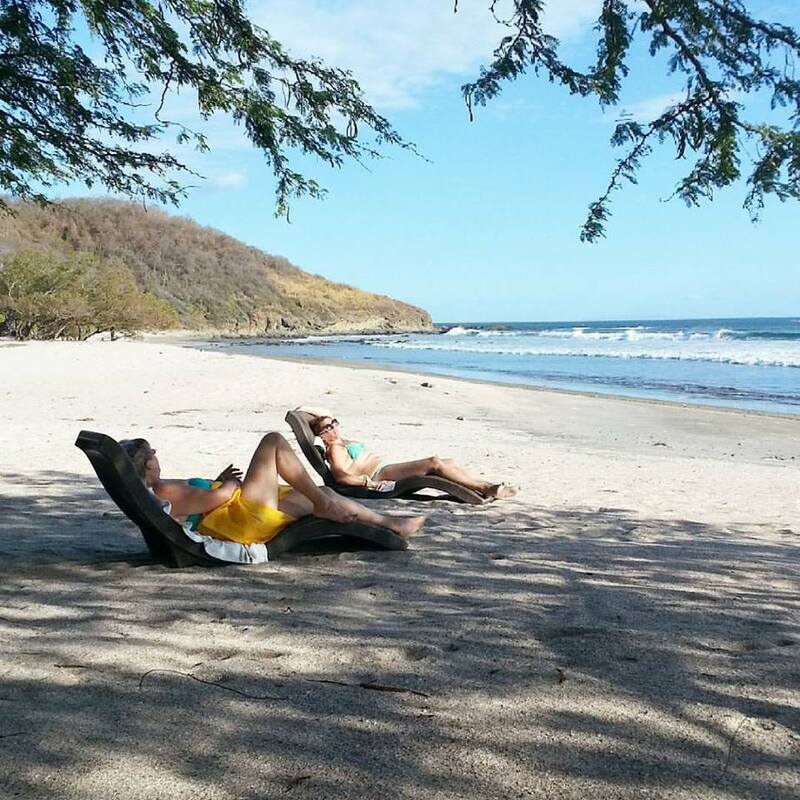 Punta Teonoste Beach is situated in the southern littoral of the Pacific coast of Nicaragua. It is a spot where three species of sea turtles (Paslama, Torita and Tora) arrive to spawn. As part of a conservation program, the Hotel Punta Teonoste has installed a nursery in order to provide shelter and protection to turtles nests. We brought 2 bottles of red wine from my cellar in Washington DC, which we opened for dinner at Punta Teonoste. On the way back from the beach to Managua, we stopped at the Mirador de Catarina and had a spectacular view of the Laguna de Appoyo. Katharina had a quesillo. Nicaraguan tortillas are made from corn flour and are thick, almost resembling a pita. One common dish is quesillo: a string of mozzarella-type cheese with pickled onion, a watery sour cream, and a little salt all wrapped in a thick tortilla. It can be found on street corners or in the baskets of women who walk around shouting "Quesiiiiiillo". 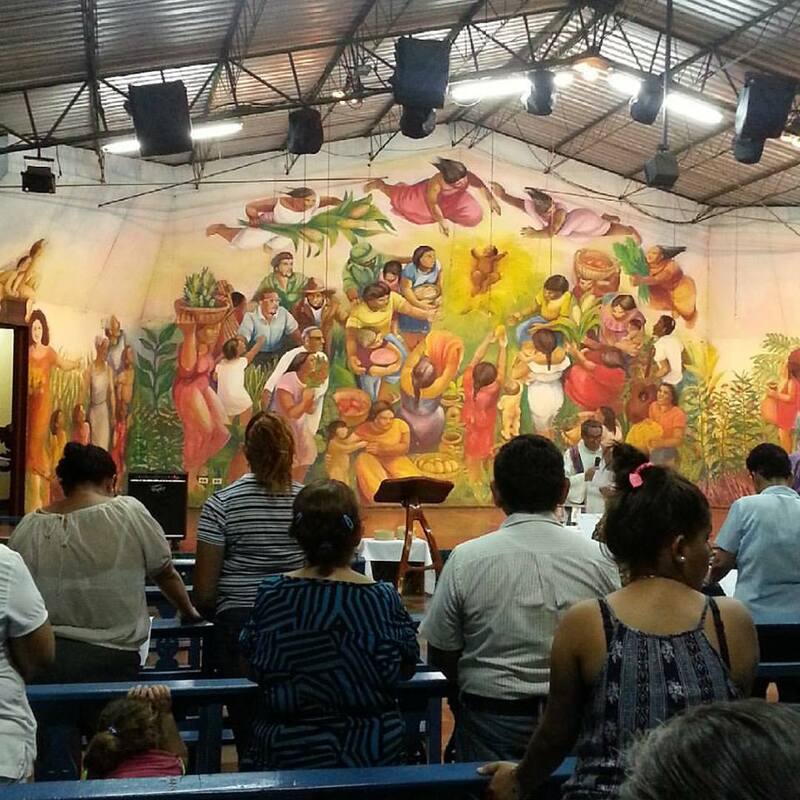 Our Managua visit ended with a church service. It was fascinating to see a picture with a portray of Che Guevara behind tha altar. While the Catholic Church in Nicaragua is the Nicaraguan part of the worldwide Catholic Church, under the spiritual leadership of the Pope, curia in Rome, and the Conference of Nicaraguan Bishops, this church is not. The Catholic Church (in Nicaragua ) has a long history of close relations with the state and government in power. When the revolutionary struggle began in the 1960s and 1970s with the Sandinistas, the Church did not support it. The ideology of the revolution was Marxist and against religion. The role of the Catholic Church in the Nicaraguan Revolution is best described as an internal struggle between leftist supporters of liberation theology and the Sandinistas and the conservative opponents who sided with the Pope in Rome and opposed the Marxists. The church we visited obviously split off and still remains outside the mainstream catholic framework.